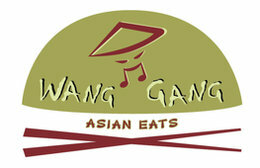 Wang Gang is a cool Asian restaurant off the beaten path. We offer a blend of chef-created Thai, Chinese, and Vietnamese cuisine at affordable prices. All of our meats and produce are fresh and hand-cut in house; all of our sauces are our own recipes and made from scratch. Come see what's happening today! For balance inquiries call the phone number to a Wang Gang's location below.